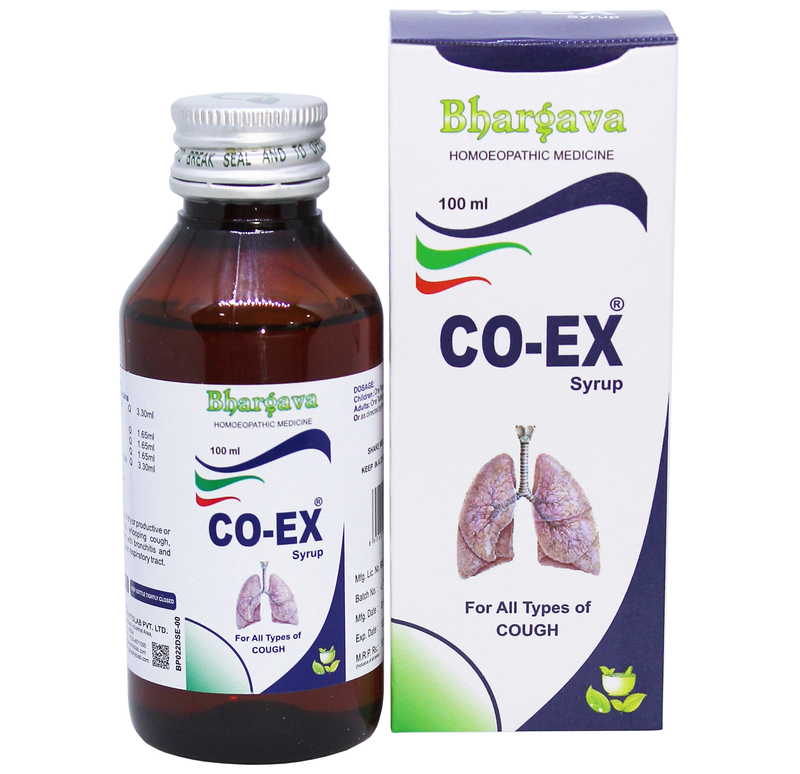 Co-Ex syrup is a trusted Homeopathic cough syrup for all types of cough, i.e. whooping cough, asthmatic cough, smoker's cough, dry cough, wet cough, allergic cough, baby cough, cough for kids & children. It is 100% Natural & does not have any side effect. ADULT: 1 tablespoonful thrice a day. CHILDREN: 1 teaspoonful thrice a day. Doctor Bhargava Co-Ex Cough Syrup is a result of techniques perfected over 100 years of practice. It is Useful for acute and chronic bronchitis & also removes the heaviness and pain in the chest due to repeated cough. It is most effective for both children & Adults. Start taking Homeopathic medicine today and get best treatment. Lower respiratory tract infection that affects lungs or lower airways. If your cough has a specific cause, then treat it well. Asthma is treated with steroids for reducing inflammation. Antibiotics are used to treat bacterial infections. GORD is treated with antacids. COPD is treated with bronchodilators. If you are a smoker, then quitting is the best option to improve the cough. If you are suffering from cough, then take Co-ex Syrup. This homeopathic cough syrup can be consumed for all kinds of cough such as asthmatic cough, whooping cough, dry cough, smoker’s cough, wet cough, allergic cough, and cough for kids and children. Cough syrup treatment is 100 percent natural and does not have side effects. You can take the 1 tablespoonful three times a day. The cough syrup for Kids can be taken one teaspoonful for three times in a day. The cough syrup is effective, safe and fast. There are no interactions with other drugs. Also, they are not habit-forming and don’t have any contraindications. You can take this cough syrup based on the duration and severity of symptoms and how the body is reacting to the medicine. Asthma also causes other symptoms like wheezing, shortness of breath and chest tightness. Bronchiectasis, lungs airways become abnormally widened. Also, Gastro-oesophageal reflux disease where the throat becomes irritated. Bacterial infections like pneumonia, croup and whooping cough.